The EcoCentre and our Port Phillip Baykeeper, along with Yarra Riverkeeper Associaton and Werribee Riverkeeper Association, convened workshops for waterway protectors, to develop priorities and models for a network that productively links the many catchments and their stakeholders in Port Phillip Bay health. Nairm Catchment Network participants considered how all stakeholders can improve practical collaboration on shared issues, and link on-ground expertise to government strategy and whole-of-catchment perspective. If you are keen to be involved please contact Neil on baykeeper@ecocentre.com. 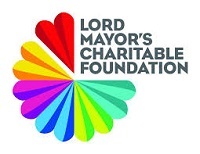 This project is supported by a Proactive Grant from the Lord Mayor's Charitable Foundation.